Mr W pesters me regularly for this & once you've tried it you will understand why! The steak needs to be thin so if you are buying from a supermarket you will need to slice it in half, if you buy it from a butcher he will do it for you. I got the rolls in Greggs 4 for £1!! 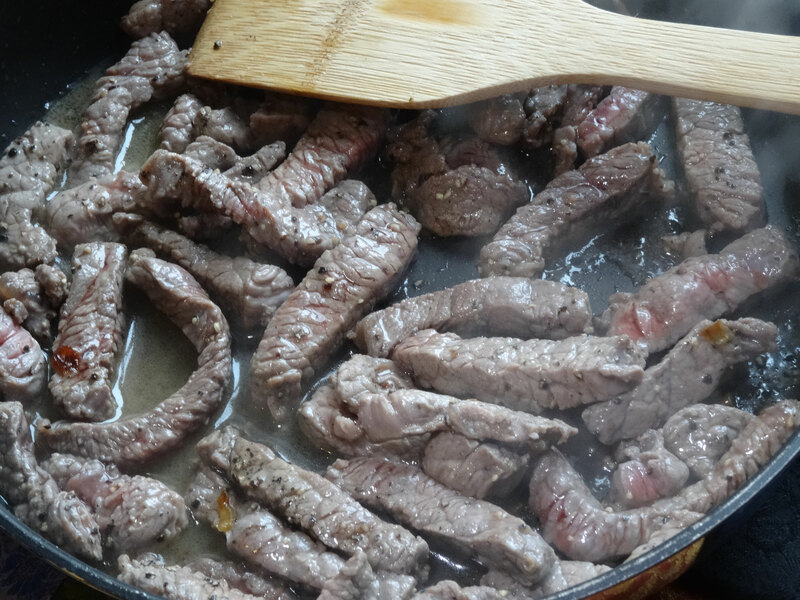 Toss the strips of steak in some salt & pepper to season. Split the rolls & mix the mayo & mustard together. 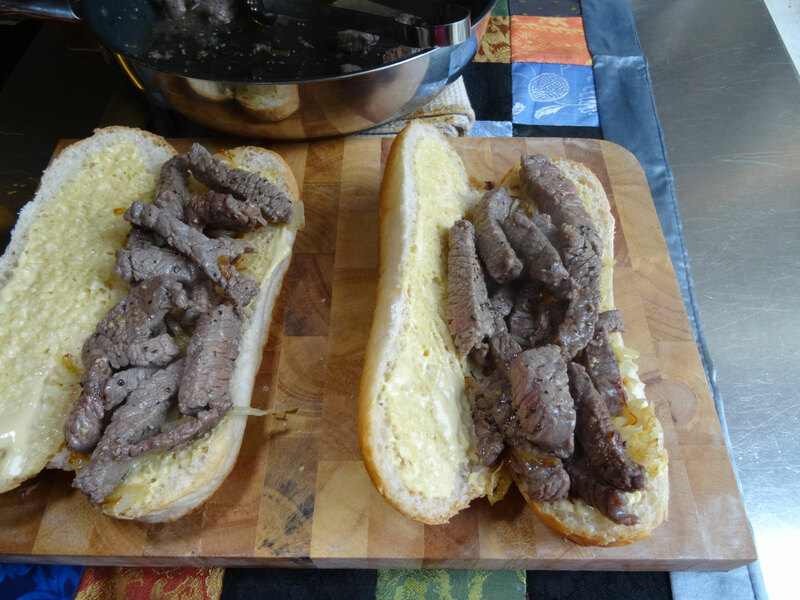 Spread the mustard mayo onto the cut sides of the rolls. In a large frying pan heat 1 tbsp of oil & 1 tbsp of butter over a low-medium heat. 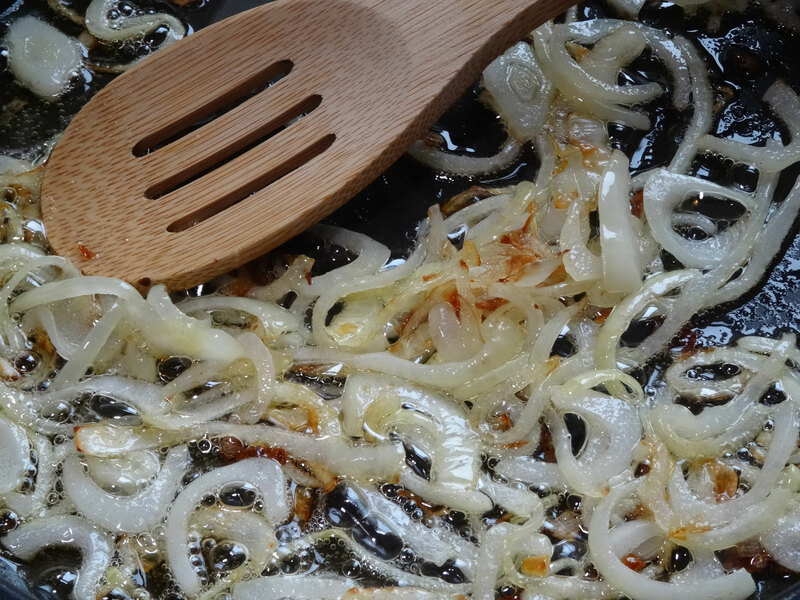 Add the onions & cook for about 10 minutes until golden & slightly caramelised. Set aside & keep them warm. Turn the heat up to med-high & cook the steak for about 5 mins or to your liking. 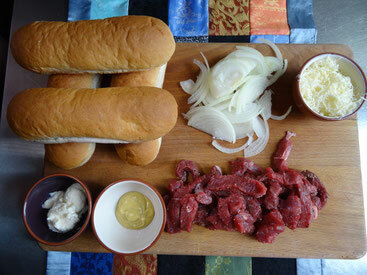 Fill the rolls first with the steak then top with the onions. 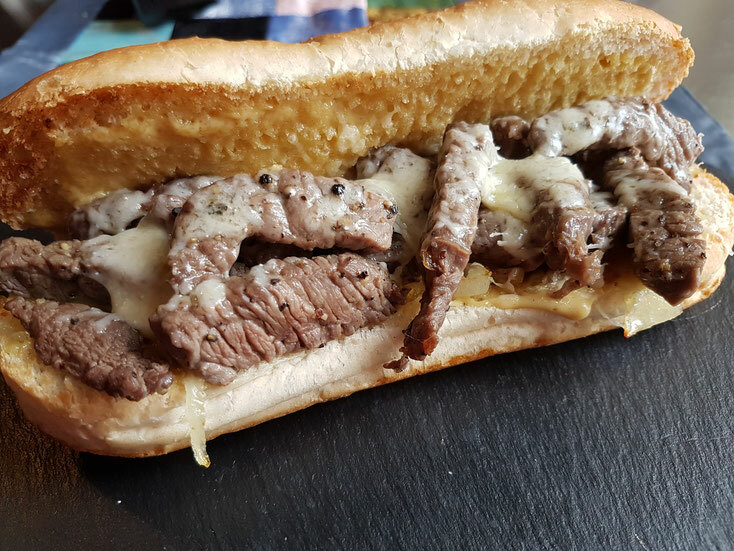 Sprinkle over some grated cheese & place under the grill until melted & gooey!